Morning all! 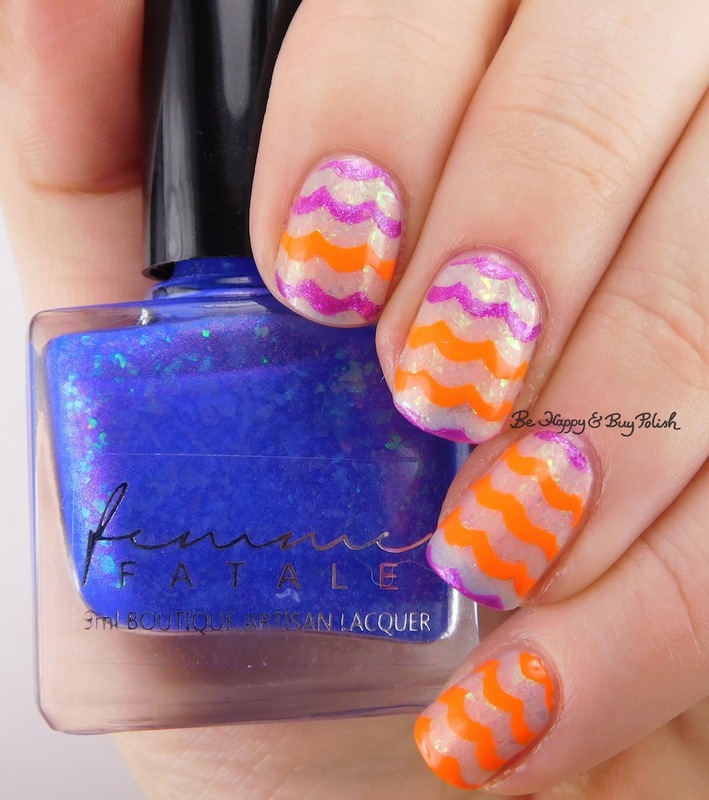 Super quick posting today for you with Femme Fatale Blue Within Blue Eyes, China Glaze Japanese Koi, Formula X Hyped. Femme Fatale Blue Within Blue Eyes is a thermal polish that shifts from a cream-ish base to blue. I also noticed a slight purple in there too! This is 3 thin coats plus top coat. This has a really good formula. 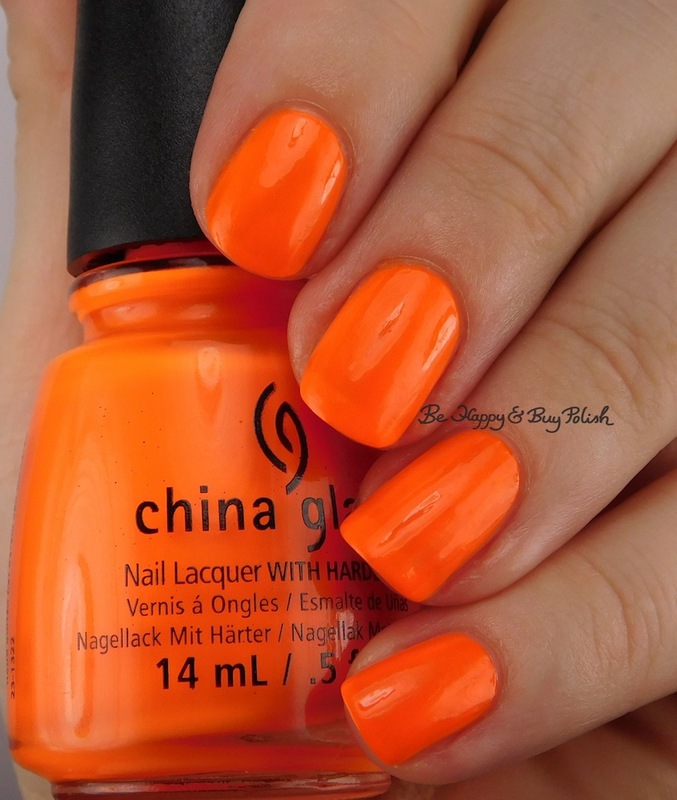 China Glaze Japanese Koi is an eye searing bright orange. This is 2 coats plus top coat, as it dries matte. Formula X Hyped is a matte almost neon purple. This is 3 coats plus top coat. I did find the formula to be a bit uneven. I started off with Blue Within Blue Eyes. 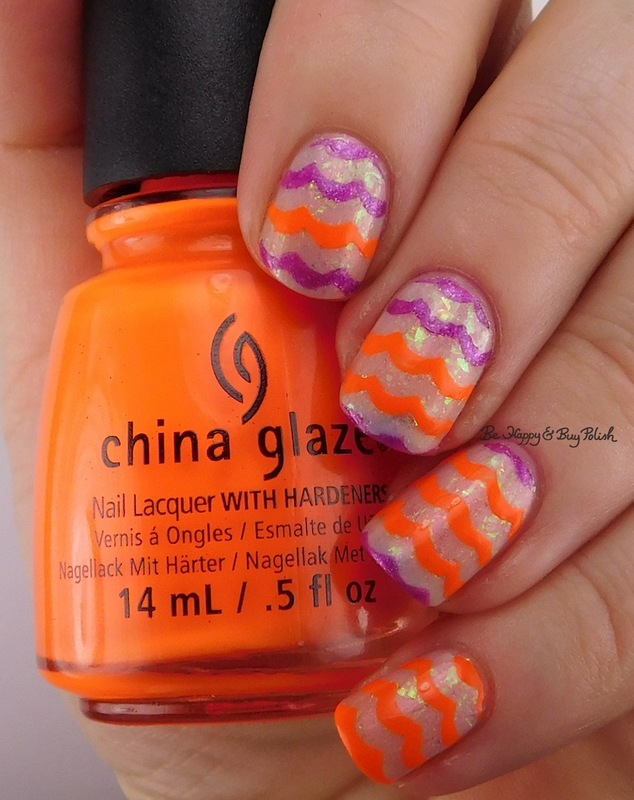 I then used wavy nail vinyls with the other two polishes. Can you pick out the pattern? My husband couldn’t. LOL. Okay, I’ll see you in a couple days with a new collection from le polish! Really nice swatches and the nail art at the end looks great too. That polish with the flakie bits is just awesome.